Experienced business owners know firsthand the value of working with attorneys who know the law and know how to get things done. If the future of your small business or large corporation is on the line —you need the business law attorneys at Elder Brinkman standing with you each step of the way. Our skilled attorneys and trial lawyers will help you navigate the complex and volatile laws that affect your business to ensure that your company continues to move forward. Improper handling of business legal issues can adversely affect your bottom line, your partners, your investors, your employees and your livelihood. Elder Brinkman’s expert business law and corporate attorneys will represent your business or corporation with the expertise and vigor needed to keep you strong and a step ahead of your competition. Our corporate attorneys handle business legal services in business planning, collections, liquor licensing, succession planning, construction law, employment law and franchise law. What will happen to your business when you don’t work any more? What will happen if your business partner passes away suddenly? What if you or your business partner(s) decide to exit the business? How is your interest in the business valued? Situations such as these need specialized advance planning to avoid frustration, delays, extra expenses and ultimately a deal that doesn’t meet your expectations. Our business succession planning attorneys will provide assistance in formulating a succession plan that will protect you and your business interests. Elder Brinkman’s philosophy is to treat your business as our own. We understand that your clients make your business successful, so when it comes to collections, our collections lawyers are committed to recovering your outstanding debts efficiently and amicably. Our job does not stop when the court grants a judgment in your favor; that is normally the simple part. We are committed to collecting your money through garnishment, lien practice, property seizure or any other legal method. Our experienced construction law attorneys represent owners, subcontractors, general contractors and developers in contracts and litigation. We understand the construction industry — and also the disputes and issues that arise because we have experience working in the construction industry. We help our clients by educating them on ways to protect their interests before issues arise. We anticipate the needs of our clients so that they can do what they do best without worrying about preparing for legal battles. When issues arise, our attorneys are experienced business litigators who will battle to protect our client’s interests. Our lawyers are skilled business attorneys and realize that employment disputes involving wrongful termination, breach of contract, non-competition agreements, confidentiality agreements, severance agreements, harassment and civil rights claims arise in the course of business. Our employment lawyers are committed to helping clients avoid many employment claims through the careful drafting of employee handbooks, policies, procedures, and contracts that will help protect the business. 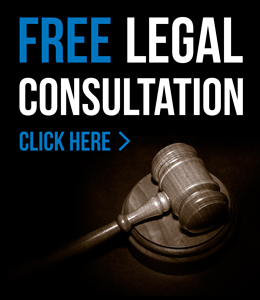 In the event an issue does arise, our lawyers will aggressively represent both individuals and businesses involved in employment disputes. The intricacies of Franchise Law can be overwhelming to a new business owner. Before purchasing a franchise make certain that you understand your obligations and rights under the franchise agreement. Purchasing a franchise is a complex and often times risky process if you are not making an informed decision. Our attorneys can review and evaluate franchise documents prior to making the decision to invest in a franchise. Let one of our skilled franchise law attorneys review, evaluate and negotiate a franchise agreement for you that will ensure that you are in the best possible position to succeed. For more information about the business law attorneys at Elder Brinkman Law or to schedule a free initial consultation regarding your business issue, contact our office today or call us directly at 313.582.5800.